Our dealership has not been named Gateway Kia carelessly. 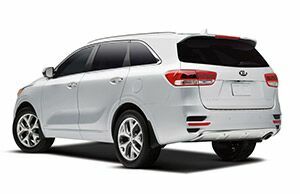 Our owner has owned and operated Gateway Kia since 1998 with care and compassion. He wants to make your car experience fun, and he is here at Gateway Kia everyday. He is here for his customers, and that is why he provides his cell number right on his TV ads. What other dealership owner is willing to do that? He is very involved with the community and he wants to make the best place that it can possibly be. We love being able to supply our community with what it needs. Get the car that you need while supporting your community by coming to Gateway Kia. When you need a used vehicle, you want to make sure that you are getting something that is representative of the high level of quality that you deserve. We are only interested in providing you with the absolute best in used vehicles, and we take the time to inspect each one so that we can make sure that it is ready to give you the reliability and the safety that you want in a vehicle. Our selection is bound to have the perfect used vehicle for you that will not only fulfill your needs, but also fit right into your budget. At Gateway Kia, we want you to forget about the negative experiences that you may have had with used cars at other dealerships in the past, and just remember that we have your best interests in mind. We can take care of all your automotive needs here at Gateway Kia, just give us a call or stop right into the showroom today!